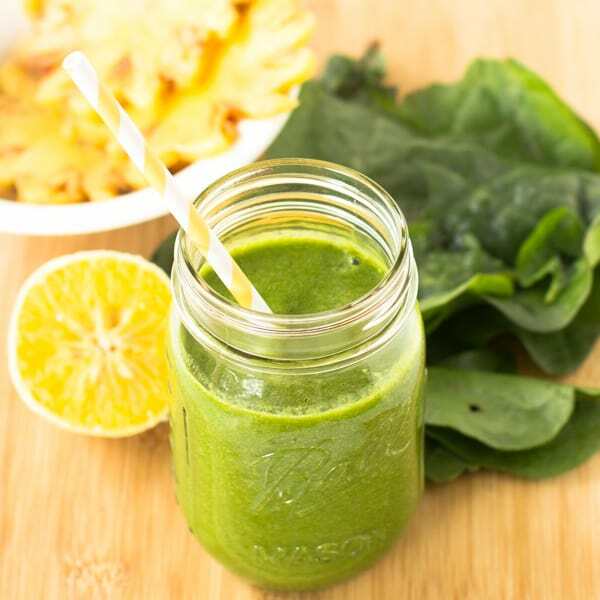 This Tropical Green Smoothie is one of my favorite quick and easy green smoothies – loaded with spinach, pineapples, orange juice and bananas. It’s only 255 calories and deliciously smooth! January is the unofficial health month for everyone worldwide as they try to start the new year off properly – as we all should! 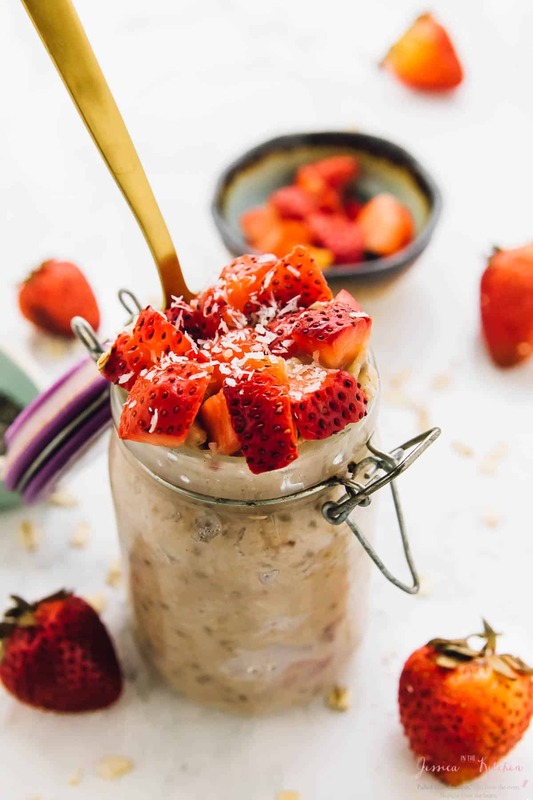 If you’re a regular visitor at Jessica in the Kitchen you know my focus 24/7 365 days of the year is on healthy food so there’ll be options throughout the entire year to stay on track. 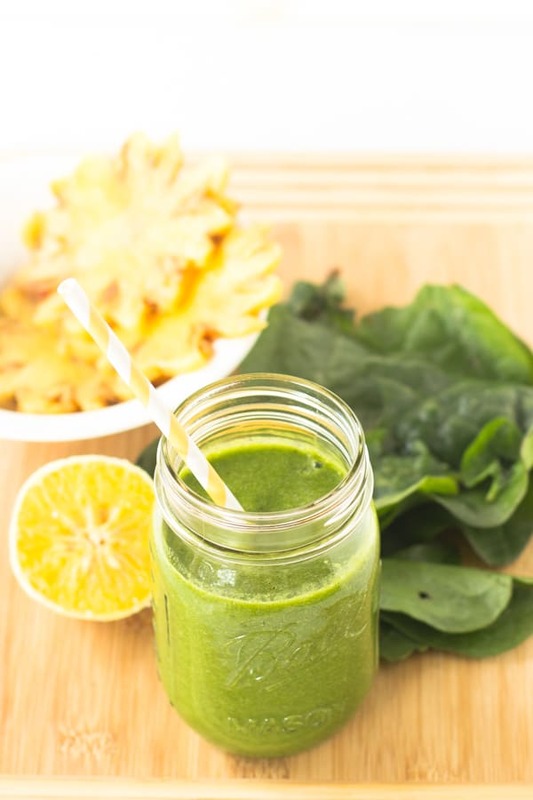 I wanted to start off the new year with one of my favourite smoothies and favourite ways to kick your body into gear with the right nutrition – a tropical green smoothie! This is one of my favourite green smoothies of all time, next to my Kale and Strawberry Green Smoothie. 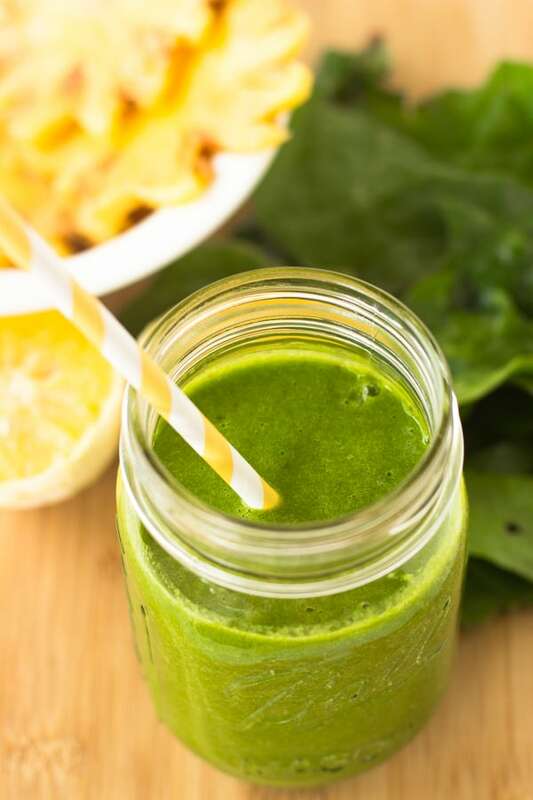 This smoothie has all the greens, giving it a gorgeous vibrant green colour with a punch of citrusy flavours of pineapple and orange juice and is naturally vegan. I used spinach for mine, but you could easily substitute kale if you want. I would personally keep it between these two greens since they have so much nutritional value – with Kale and Spinach offering whopping amounts of Vitamin K, Vitamin A and Vitamin C.
The citrus content not only adds tons of vitamin c but pineapple is known to help with immune support and eye health and oranges are known to help lower cholesterol and boost heart health thanks to being full of potassium. Bananas are also very nutritious, are one of my favourite snacks actually, and contains a lot of potassium. The citruses add sweetness to the smoothie and the banana adds creaminess. 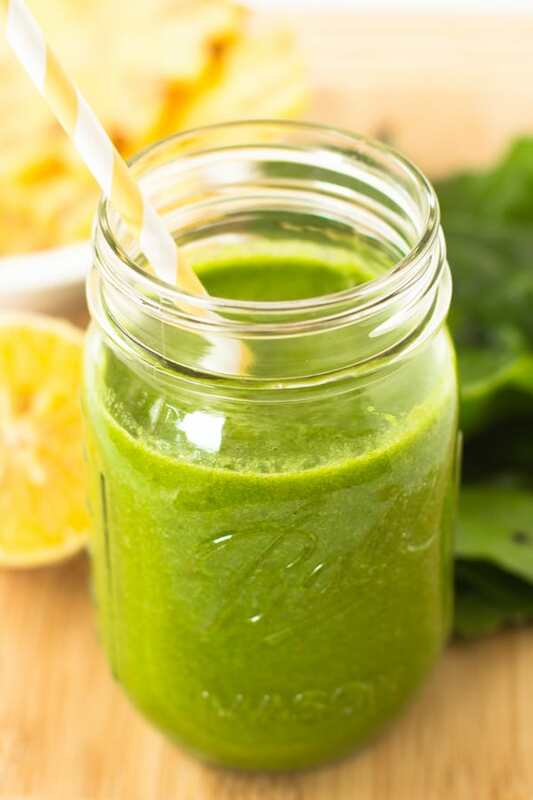 This smoothie is also low in calories coming in at 255 calories for the entire smoothie! 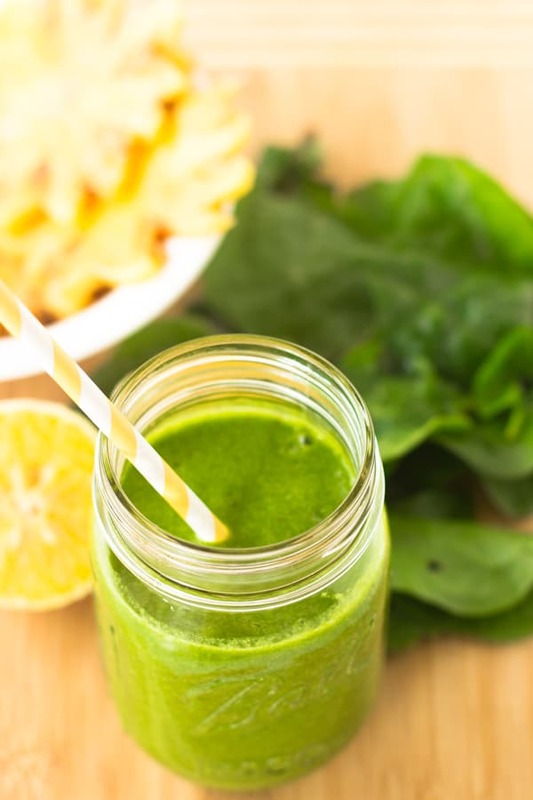 You can easily customise this smoothie – adding more greens or more citruses or anything you’d like so that it suits you. 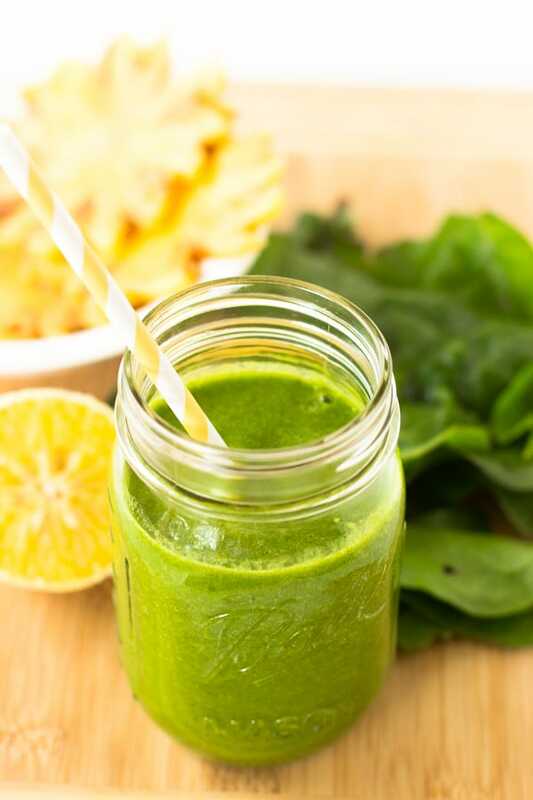 Using the freshest ingredients is always the best choice, but if you can’t get fresh ingredients ensure the frozen ingredients you get (spinach) are frozen by themselves, and any pineapple or orange in a tin isn’t packed in syrup but in a natural fruit juice. And lastly, I LOVED how this smoothie tasted. It’s obviously healthy but is very smooth and by the time I looked down I had finished it all! 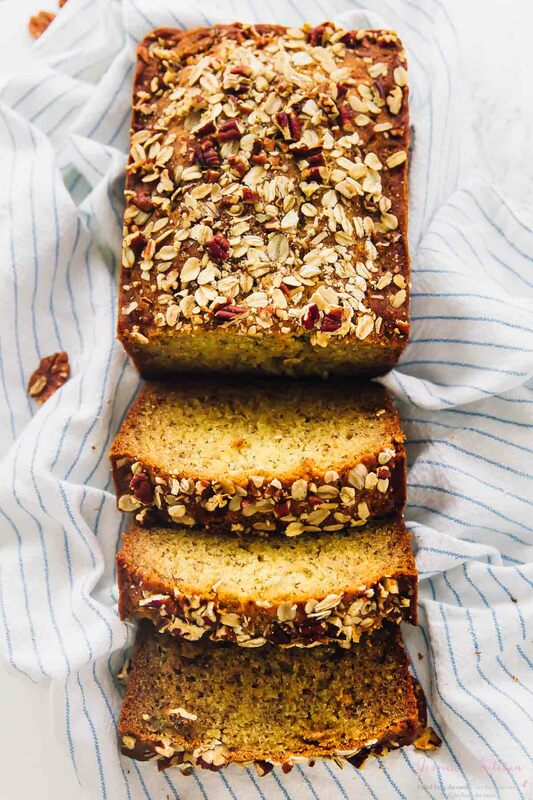 I’ve made this many times already over the Christmas after going to the gym or before as a booster, and it’s the perfect addition to your breakfast or as a snack. All the ingredients (except the Orange juice to keep it liquid) can be frozen together then blended together, and you can make it earlier in the day to consume later for the best health benefits. Drink up and enjoy! 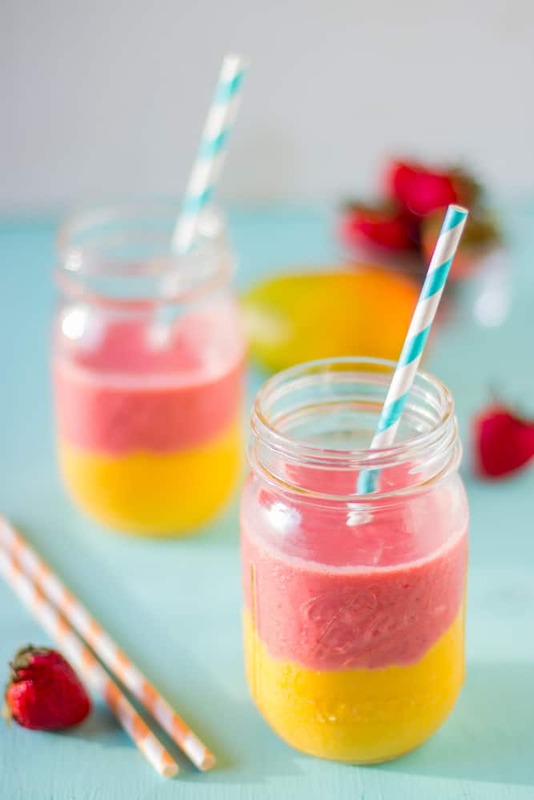 Check out more of my favorite smoothies! Blend all together in a high power blender - I use a nutri bullet. Happy New Year! I am such a big fan of green smoothies. I seriously have at least 5-6 a week! This is a fantastic recipe that I can’t wait to try. I love the pineapple flavor in this. Thanks Jocelyn! Seriously love green smoothies too! You can’t go wrong with a green smoothie in my opinion. It’s the next way to start the new year. So true! Happy 2015 Dannii! I couldn’t think of a more empowering way to start the New Year!!! I love green juices (and smoothies)!! Thanks Tammy! Happy New Year! 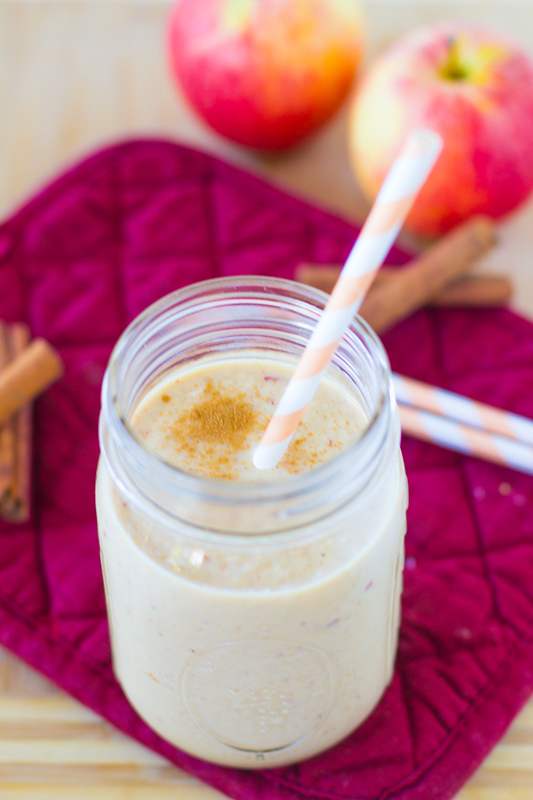 Perfect smoothie to start the new year with. 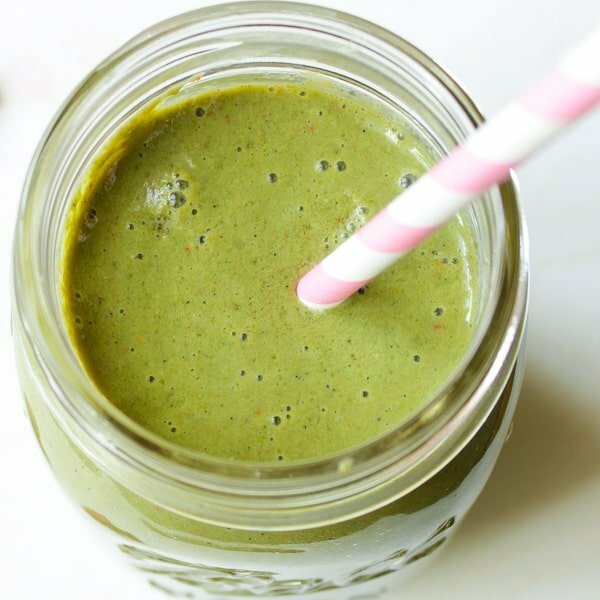 I love how quick and easy this smoothie is to make! Pineapples are one of my favorite add-ins to smoothies, especially with mango! Gorgeous smoothie! This sounds delicious! And that bright green color … gets me every time! Thanks so much Stacy! Happy New Year! Perfect way to start of the new year! HELL YEAH! Good going Jessica! I am a big fan of green vegetables, they offer so many nutrients. I especially love juicing kale.